"Some Americans might decry Julian Assange as some kind of anarchist – someone who should be locked up for a thousand years," reflects Michael Finucane, a 39-year-old Dublin-based solicitor. "But all WikiLeaks is doing is filling the vacuum created by governments unnecessarily." Readers who know the Finucane name will understand the significance of those words. Michael is the son of Pat Finucane, the murdered civil rights lawyer. In 1989 Douglas Hogg, then junior home office minister, told the House of Commons some solicitors in Northern Ireland were "unduly sympathetic to the cause of the IRA". Michael Finucane has described these words as "a verbal hand grenade lobbed into the cauldron of Northern Ireland". Three weeks later, two gunmen from the loyalist paramilitary group the Ulster Freedom Fighters burst into the family home in Belfast, wounding Pat Finucane and his wife, Geraldine. One gunman stood over him as he lay on the ground and fired 14 shots into his body and head. Michael, then 17, was in the house with his brother and sister. Two decades later, the Finucane family is still trying to find out why their father was targeted and whether the government was involved in the killing. They continue to call for a full and independent public inquiry. The WikiLeaks revelations have shone further light on the degree of state collusion. The Guardian reported last month that the leaked US embassy cables revealed Bertie Ahern, the former Irish prime minister, told US diplomats "everyone knows the UK was involved" in the murder and that US diplomats feared "elements of the security-legal establishments" in Britain were fighting to resist an inquiry. 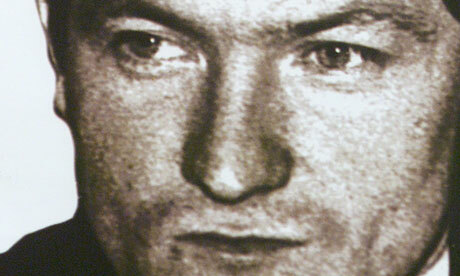 Michael Finucane believes the revelation adds to the momentum for a public inquiry. "Progress under the previous [New Labour] administration had stalled and the UK government was displaying a marked reluctance to ever want to reopen it," he said. The family insists that for any inquiry to be legitimate it must operate outside the constraints of the Inquiries Act 2005. That act was introduced in response to the perceived excesses of the Bloody Sunday inquiry (lasting 12 years and costing £191m) and controversially allows the government to block scrutiny of some state actions. The human rights group Amnesty International has argued that any judge hearing such an inquiry would be "presiding over a sham". Pat Finucane set up Madden & Finucane with his co-partner, Peter Madden, in 1979 shortly after they qualified as lawyers. Pat made his name representing people arrested under the emergency legislation. He was one of the first of a generation of lawyers to take cases to Strasbourg, and Madden has paid tribute to his former colleague for "revolutionising" the detention system by taking habeas corpus actions forcing the police to produce prisoners, often beaten, before the court. Some members of Pat's immediate family were in the IRA, including one brother killed in action. But Madden & Finucane were not the "provos in suits" that detractors dubbed them. As Geraldine memorably put it: "Pat would have represented the people who shot him." Michael tells me several meetings between his family and Owen Paterson, the Northern Ireland secretary, took place last year. The campaigners remain hopeful they will get the inquiry they have battled for, and on their terms. As Michael said: "It will be very difficult to hold it without my family being a willing participant … like Hamlet without the prince." Michael is the same age his father was when he was murdered. He describes his legal practice, which has three lawyers and two trainees, as a civil rights practice.